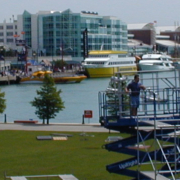 Complete Crewing may be based in Chicago, but we work with people and events all around the United States. 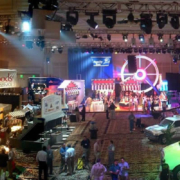 For over twenty years, we’ve provided production labor services for events from Los Angeles, CA to Boston, MA. That’s more than two decades of building trusted relationships and creating streamlined processes to give our clients the best possible service no matter where their events take them. We have a culture of service and teamwork that has only become more entrenched and on display over the last month. A series of family medical emergencies, weather related issues, large events, and renovation and infrastructure projects were no match for this team. Everyone came together and conquered all seemingly without pause. In July 2018, Complete Crewing announced the appointment of a new CEO and majority owner, Dan Kantor. Complete Crewing went on to have a record year, and we look forward to making 2019 even better. We aren’t only excited for ourselves, either. A new year brings new opportunities and experiences for the entire Events and Meeting Industry. Take a look at just a few changes on the horizon and get ready to experience events like never before. It’s holiday time, which means frightful weather, figgy pudding, and plenty of rockin’ around the Christmas tree! Or something like that, anyways. We think we can all agree that it definitely means a lot of activity and little rest – even when we have visions of pajamas and lazy mornings dancing in our heads. We’re huge fans of a good time, but too little focus on nutrition and rest can lead to an overworked brain and body, which affects on-the-job judgment and energy. We’re invested in the safety, health and welfare of people at work, so what can be done to enhance our health during this chaotic, but wonderful season? Read on for tips on improving safety and productivity, while still having a grand old time. Floyd: How did you first get into show business? Bruce: [laughs] Well, I grew up in West Texas, and I knew I was going to get into show business at an early age. In between a double header every night or on Friday nights, I don’t know if you remember this, they would do a little behind the scenes of the making of “The Planet of the Apes,” or this or that. I fell in love with the fact that there were real people creating these things and making movies. I saw Hollywood as this far away destination for a fun, fun, life and I was awestruck with the creative work. https://www.completecrewing.com/wp-content/uploads/2018/12/thumbimage4.png 120 120 admin https://www.completecrewing.com/wp-content/uploads/2018/11/completecrewinglogowithsparky.png admin2017-08-15 15:20:022019-02-28 15:57:43“From Puppet Shows to Feature Films, and Everything In Between.” Eleven Questions and a Story with Bruce Rodgers"
“Empathy is an Infinite Resource.” Eleven Questions and a Story with Bill Bartolotta. https://www.completecrewing.com/wp-content/uploads/2018/12/thumbimage.png 120 120 admin https://www.completecrewing.com/wp-content/uploads/2018/11/completecrewinglogowithsparky.png admin2017-05-29 15:18:492019-02-28 15:58:55“Empathy is an Infinite Resource.” Eleven Questions and a Story with Bill Bartolotta. Floyd: Tell me how you got into the business. Floyd (Complete Crewing): Tell me about your first job in the business. How did you get it and what was it? Bob: I got started in the business playing hockey in Des Plaines and Rolling Meadows, IL. On my Rolling Meadows team was Don Carone. Don Carone is the younger brother of Robert Carone, who owns Upstaging. This was in the infant years of Upstaging with just maybe 12 to 24 lights in the family garage in Mount Prospect. I think that I was 15 years old.